Alisia is a loving and caring eleven-year-old who loves baseball, dancing, art and singing. She is witty, silly and loves Michael Jackson’s music and videos. In August of 2018, just a week before starting fifth grade, Alisia became weak after soccer practice and suddenly couldn’t walk. Knowing something was wrong, her family took her to the hospital emergency room. She endured blood tests, biopsies, an MRI, CAT scan and an extremely painful spinal tap as well as nerve testing. The next day, Alisia and her parents were devastated to learn that she had Guillain Barre Syndrome, an extremely rare condition in which the immune system attacks the nervous system causing muscle weakness and paralysis. Not only were Alisia nerves inflamed but she had no reflexes and remained unable to walk. Her treatments started immediately with a five-day dose of antibodies. Doctors monitored her closely in the ICU, as they were concerned about the syndrome traveling up through her hands, lungs, neck and to her respiratory system. When Alisia finished treatment, she went directly to Randall’s in a wheelchair. The next step was extensive therapy at Randall Children’s Hospital to help her with mobility and arm strength. After two weeks, there was no improvement so she was then sent back to the hospital. 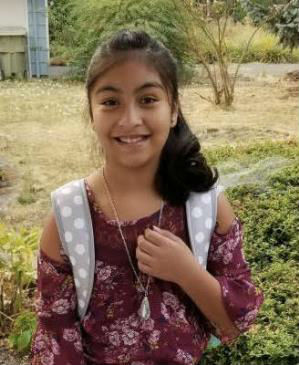 Doctors decided she needed to be transferred to Doernbecher Children’s Hospital for another round of tests and more antibodies to fight the disease. Alisia spent another two weeks in the hospital. This time after being released, Alisia’s therapy continued at Randall Children’s Hospital which focused on her learning to walk, write and being able to transfer herself to and from her wheelchair. The goal was for her to get stronger. Therapy has been painful but she refuses to give up. She continues to work hard to regain her strength. Alisia has progressed but now must wear leg braces and use a walker to walk. She is determined and focus to make a full recovery. In spite of all of this, Alisia has developed a “Don’t Give Up” attitude. She truly wants acceptance, compassion and for people to look with their heart and not their eyes to see how far she has come. Alisia will be adopted as a Sparrow to Aloha High School. Students will work hard to not only love and support her, but raise money for Alisia through sponsored community service and fundraising.